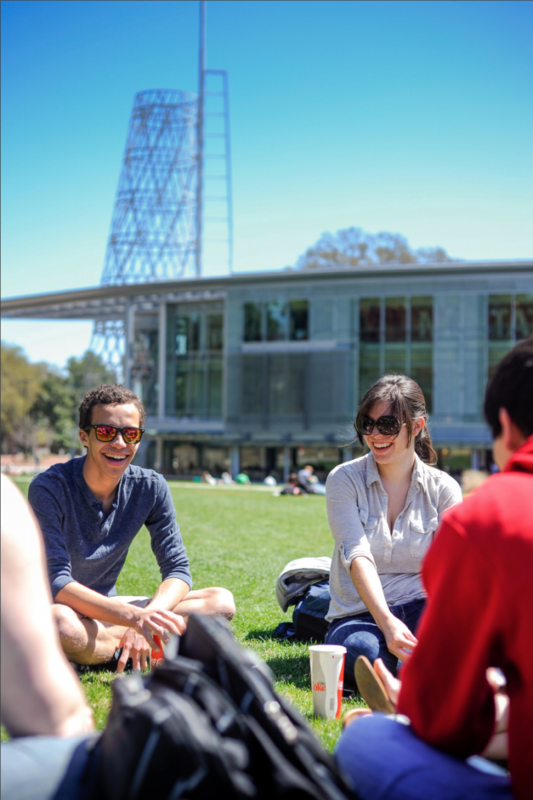 You are a vital part of campus life, and Campus Enterprises is here to help your organization with a number of services and resources designed with your needs in mind. Rave! Events is here to support your reservation and event planning needs. Your organization will be paired with one of our Event Coordinators to ensure all your needs are met with quality. 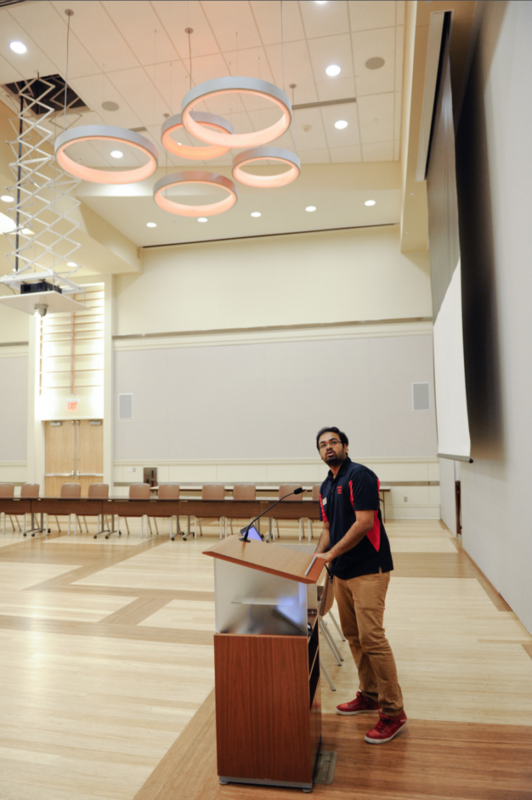 Rave provides setup and audio/visual support for several spaces throughout campus. We make every effort to provide services and spaces for free or at reduced cost for student organizations. Special Events: Schedule your conferences, cultural celebrations, and concerts up to one year in advance. Series Reservations: Repeating events, such as weekly meetings, may be scheduled one semester in advance. Stewart Theatre and the State Ballroom are not available for weekly meetings. Special Reservation Areas: Event reservation space is available in the Carol Johnson Poole Clubhouse, Duke Energy Hall (Hunt Library) and the Park Alumni Center, all located on Centennial Campus. Find out more at rave.ncsu.edu, call 919.513.8368 or visit Rave! Events in Talley Student Union Monday – Friday, 8 a.m.– 5 p.m. There is a plethora of advertising and promotion opportunities for student organizations and university departments. Please take time to review the full reservation guidelines outlined at rave.ncsu.edu. Resources and Event Design Interactive, or RED-i, is a service of Student Involvement. RED-i provides graphic design, marketing, photography/ videography services for all NC State registered student organizations. The RED-i studio is located inside the Woodward Student Involvement Center on the 4th level of Talley. It is open Monday through Friday 4 p.m.– 9 p.m and Saturday 11 a.m.– 3 p.m. To request help from RED-i with your student organization’s upcoming projects, email red-iprojects@ncsu.edu. Make a big statement by reserving a banner space in the main lobby of Talley, which enjoys heavy foot traffic every day. Space is reserved by contacting your event coordinator. Wolf Xpress, on the main level of Talley, can produce your banner for $65 and will also deliver it to Rave! Events of CE in room 3244, for installation. Please include your reservation number on the Wolf Xpress order. Banners may be displayed for two weeks prior to the actual event. Unless otherwise requested, your banner will be recycled at the conclusion of your event. For pricing and other details, stop by Monday through Thursday, 8 a.m.– 7 p.m. and Friday 8 a.m.– 5 p.m., call 919.515.2131 or visit go.ncsu.edu/wolfxpress. Digital signage is a prime way to promote your student organization’s events and programing. With lots of people visiting both student centers on a daily basis; these screens provide the impressions to market your event to a wide swath of the campus community. Space is available on screens throughout Talley and Witherspoon to display digital advertising for events that will be held in the Student Centers. Digital advertising must be submitted to the Rave! Events office at rave-events@ncsu.edu as a 1920 x 1080 (jpeg, png, gif). Digital advertising may be displayed for one week prior to the actual event and is limited to one slide per event. Reserve a table in Talley, Witherspoon and on Stafford Commons to promote your organization, meetings, events or programs. Before doing so, we encourage you to review NC State’s Conflict of Interest Policy (see Reservation Guidelines at rave.ncsu.edu) and contact your Rave! Events Coordinator to reserve your space. Rave! Events offers reservable donation bins for your organization’s philanthropic efforts. Collect clothing, canned goods or other non-perishable items. Your Rave! Events Coordinator can help make these arrangements for you. 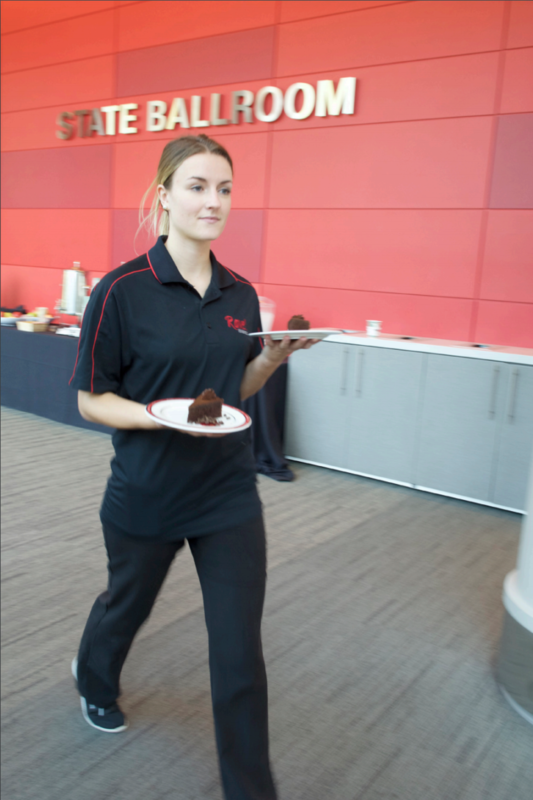 Our campus culinary team has worked closely with student organization leaders to provide tasty and affordable catering options for meetings, programs and events. To that end, we have a number of options available to you. Talley has lots of dining locations from which to choose. One Earth features international and cultural cuisines from all over the world. The Pavilions features several quick grab and go options including burgers, sandwiches and pizza. Talley Market has snacks, ice cream and pastries. Visit dining.ncsu.edu for information on menus and hours. When your meeting or event calls for something more, we have a menu just for you. To get started, visit rave.ncsu.edu to view the student org menu options. If your event requires something custom, like traditional or culturally special dishes, our chefs can work with you to create a special menu. We have worked side by side with a number of student groups to develop and test recipes to ensure they are authentic and delicious. Consult your event coordinator for details. We’ve made it easier for your organization to be on brand at every turn, with quality printing and promotional products from Wolf Xpress and State of the Art. These NC State Stores subsidiaries are conveniently located in Talley Student Union. 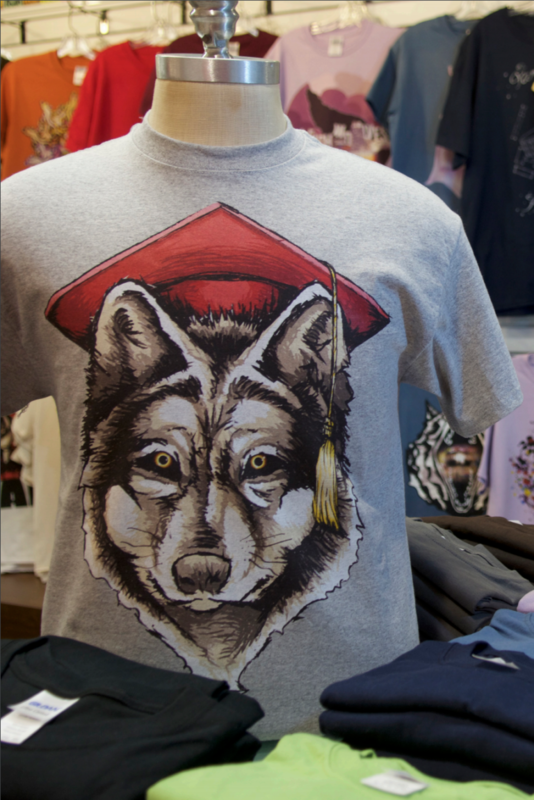 Wolf Xpress is your on-campus print shop with full printing and binding capabilities. Posters, banners, letterhead, business cards, brochures and more can be produced on site so you never have to leave campus. State of the Art offers a wide selection of apparel and promotional items to set your organization apart from the rest of the pack. Whether you’re shopping for official NC State branded merchandise or promoting your club or organization, we have what you need at a great price. All branded designs are vetted through Trademark Licensing to ensure you are on brand if your project requires it. You can also get custom tee shirts printed while you wait! Bring in your own design or let our talented designers help you create a unique design to help you or your group stand out. State of the Art is located next to the Wolfpack One Card Of ce on the main level of Talley. It is open Monday through Friday, 8 a.m.– 5 p.m. and Saturday 10 a.m.– 4 p.m. Stop by, call 919.513.6107 or visit go.ncsu.edu/state-of-the-art. for more information. The NC State Student Centers Partnership Fund provides nancial assistance for programs and events that are focused on the enrichment of the NC State student community. The Partnership Fund works to promote programs and events that use the Student Centers and are of broad general interest. Late night/weekend programming – programs that occur on Friday or Saturday night after 9:00 p.m. Submit a completed request form to rave.ncsu.edu. For additional information, please call 919.513.8368. NC State Stores and Dining can also provide targeted support for programs that align with departmental goals. It is important that you log your request at least 30 days (60 is ideal) in advance of the event to ensure your request can receive proper consideration.